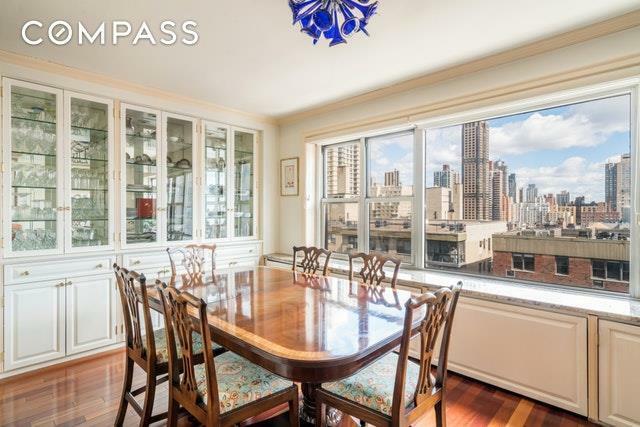 Fabulous sun flooded two bedroom, two bath home on top floor in the perfect Upper East Side location. Upon entering the apartment, there are 2 huge closets, one storage (double depth) and one walk-in pantry. Immediately, your eyes focus on the incredible view from the oversize wall of windows in the massive living room with dining alcove. Oversized master bedroom has north and east facing windows with a view of the East River as well as an ensuite bath and massive walk-in closet complete with built-ins. 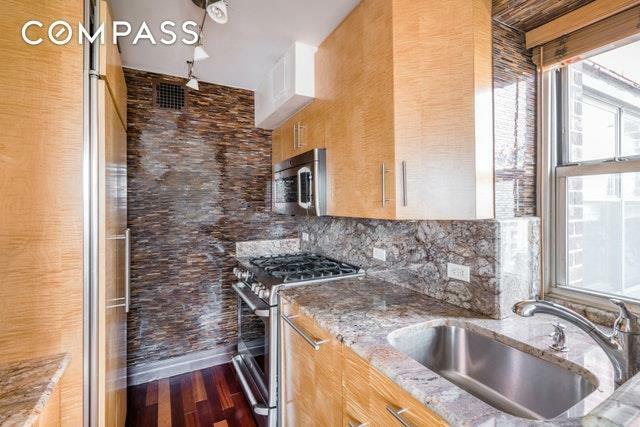 Newly renovated modern windowed kitchen features high-end stainless steel appliances, granite counters with specially-designed high end wood cabinets. 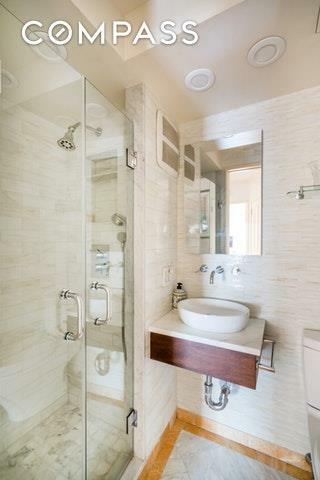 Leading to the bedrooms, there is a beautifully renovated 2nd bath with walk-in shower. New floors throughout with built-in closets. Entrance to roof deck is directly across from the apartment.Gregory House is a desirable coop with a full-time doorman, live-in resident manager, stunning roof deck with teak furniture, gym, laundry room, package room, bike room, trunk storage and direct access from building to garage. The lobby and hallways were recently updated. 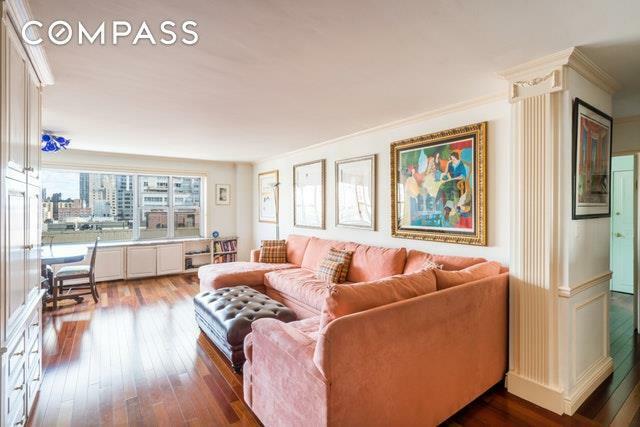 Residents enjoy convenient access to transportation (Crosstown bus on East 79th Street, Second Avenue Subway Q, and Lexington Avenue 6 line), restaurants, shopping, and multiple parks (East River Promenade, Carl Schurz Park, and John Jay Park). Pets Allowed up to 50 pounds. Listing courtesy of Julie Gans of Compass.